Protests have been cropping up across the country, urging employers and lawmakers to pay more and raise the minimum wage. President Obama, as promised, used his State of the Union address to make a heavy push for the minimum wage. The president called on Congress, business owners and local representatives to take action to raise the wage floor across the country. He asked Congress to get on board with a Democratic proposal to raise the federal minimum to $10.10 per hour. But he also urged everyone from companies to small businesses, mayors, governors and state legislators not to wait for Congress. "Americans will support you if you take this on," he said. "This will help families. It will give businesses customers with more money to spend. It doesn't involve any new bureaucratic program. So join the rest of the country. Say yes. Give America a raise." 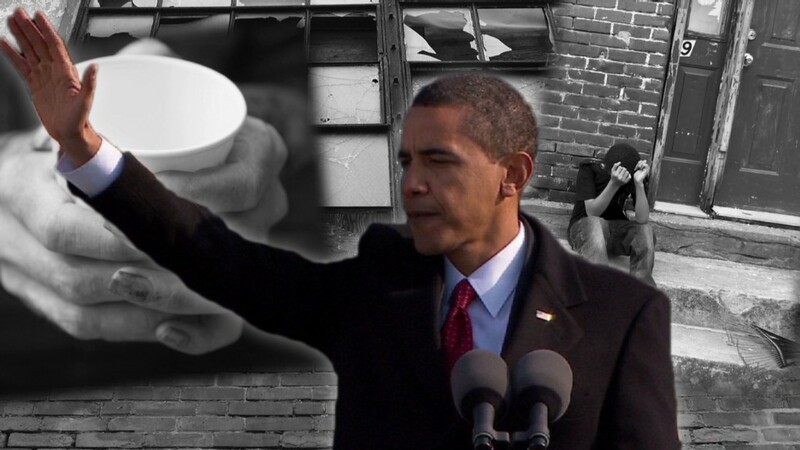 Obama also promised an executive order to raise the minimum wage for some government contract workers. While the action is relatively narrow and affects less than half a million people, the hope is that this will spur Congress to follow suit for all low-wage workers in the U.S. These calls for change come as pressure has been mounting in Washington and across the country to address inequality. Washington debates an increase: Last year, a group of Democrats introduced the Fair Minimum Wage Act, which proposed raising the minimum wage to $10.10 per hour. The current federal minimum wage is $7.25. If the legislation passed, a full-time minimum wage worker would see a bump in pay from about $15,000 a year to roughly $21,000. That could lift a family of three above the poverty line. The increase directly and indirectly could raise pay for up to 28 million workers, according to estimates from the liberal Economic Policy Institute. The legislation has received backing from 75 economists, but its passage remains a political long shot. Related: What's my real living wage? States take action: Regardless of federal legislation, the American public has already taken action in some pockets. Last year, New Jersey residents voted to raise the state's minimum wage by $1 an hour to $8.25. Voters in SeaTac , a tiny town centered around the Seattle-Tacoma airport in Washington, also voted to raise its minimum wage to $15 per hour. It could soon spread to all city workers in Seattle; new mayor Ed Murray has made raising the minimum wage a key part of his agenda. And on January 1, 12 other states and three other cities raised their wage floors, as well. Wage hike protests catch fire: The low wage issue was thrust into the spotlight last year, with workers from McDonald's (MCD), Wendy's (WEN), Wal-Mart (WMT) and other stores joining an increased number of protests nationwide for higher pay, better hours and benefits. Fast food workers in particular have been calling for $15 per hour wages. The movement began with a small walkout in New York City in 2012 and has since gathered momentum. 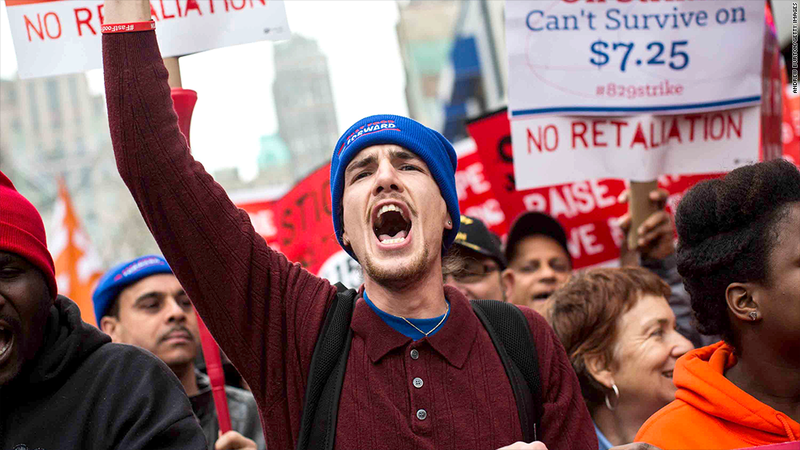 Strikes this past December drew fast food workers in more than 100 cities, organizers said. Americans support an increase: With attention on wages growing, polls are showing that more and more Americans support a wage hike. According to a January 8 Quinnipiac poll, 71% of American voters support raising the minimum wage. This includes a majority of Republicans, 52% of whom support it. About one third of voters were behind raising the minimum wage to the $10.10 per/hour level, the same level as the Democratic proposal, and 18% support increasing it to an even higher level than that. A Pew Research poll also found that 65% of adults believe the gap between the rich and everyone else has increased in the last 10 years. Minimum wage is not a living wage: While most believe the federal legislation is unlikely to pass due to partisan gridlock, experts agree that even the proposed number may not be enough to live on for most people. Amy Glasmeier, a Massachusetts Institute of Technology professor who studies wages, points out that there is a gap between a minimum wage and a living wage -- the cost of paying the most basic, necessary bills based on where a person lives. Glasmeier's research, which breaks down the cost of living by counties in the country, found that a living wage can range between $12 and $25 an hour, based on where a person lives. Related: Will a wage hike hit my business? Obama's been here before: President Obama touched on raising the minimum wage in last year's State of the Union, calling for Congress to raise the federal level to $9 per hour. "This single step would raise the incomes of millions of working families," he said. "It could mean the difference between groceries or the food bank; rent or eviction; scraping by or finally getting ahead." But there's been no Congressional action since then. Critics say a higher minimum wage will hurt jobs. Their argument is that employers will hire fewer people or reduce their hours. And they may compensate for the extra expense in other ways that can hurt consumers, for instance by raising prices. Some studies show a negative effect on jobs. But others show a positive effect or no effect at all.